KUALA LUMPUR: National badminton ace Datuk Lee Chong Wei is taking into consideration his age and physical stamina in deciding whether or not to compete in certain tournaments organised by the Badminton World Federation. He said he was willing to pay a fine for failing to participate in any of the tournaments. The world number two indicated that he would be focusing more on the World Championships, Commonwealth Games, Thomas Cup, Asian Games and All England. Under BWF’s new event structure, it is compulsory for the world top 15 men’s singles players and 10 men’s doubles players to compete in 12 tournaments in a year, that is, three in Level 2, five in Level 3, and four in Level 4. “I will discuss with the Badminton Association (of Malaysia), and if I have to pay a fine, I will. I am not 25 but 35 this year. Actually, I and some of the other players are resting now and preparing for the All England in March. BWF has issued the rule and we have to abide by it,” he said after losing his match, yesterday. 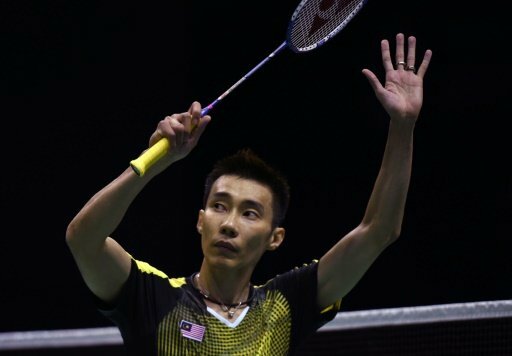 Chong Wei yesterday crashed out of the Perodua Malaysian Masters at the Axiata Arena in Bukit Jalil, along with other world ranked players including Chen Long and Lin Dan, and South Korean Son Wan Ho. He attributed their poor showing at the championship to BWF’s new rule. Because of the new structure, he said, players could not give their full commitment to the tournament as they were bogged down with a full schedule. Five-time world champion Lin Dan concurred, saying players would rather concentrate on the major championships. Realistically, he noted, no player would be able to maintain their excellence in all of the tournaments. Meanwhile world number one Viktor Axelsen of Denmark said the new rule would disrupt the fitness of players as there were too many tournaments for them to compete in as early as the beginning of the year. He said it was crucial for the players to take care of their physical and mental health to maintain their competitiveness.